When the trailer for Stonewall was released last month, it sparked debates (and boycotts of the film) over the whitewashing of a watershed moment in gay rights history. 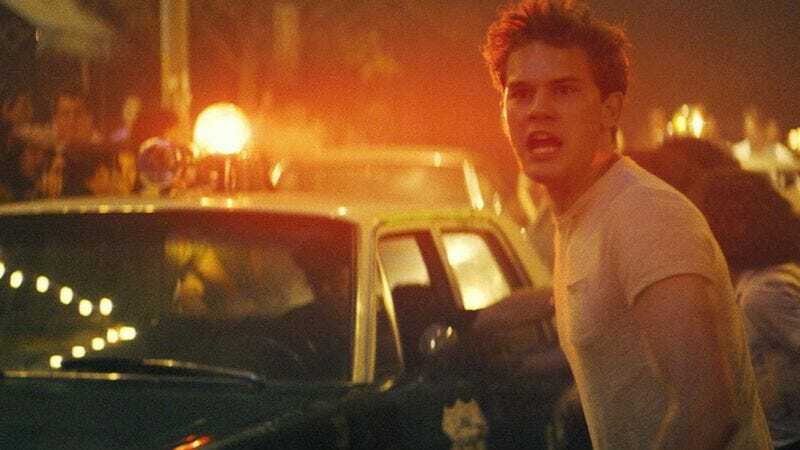 Roland Emmerich’s latest film appeared to have a white, cis-male protagonist (Jeremy Irvine) front and center on that night in 1969 that led to the first gay rights parades. The director, who is openly gay, addressed those concerns on Facebook, acknowledging the trans people of color and drag queens and kings who were actually there and are credited with starting the Stonewall riots. But he asked audiences to reserve judgment until they’d actually seen his “labor of love” and heartfelt tribute. Now that Stonewall is about to open in theaters nationwide, BuzzFeed interviewed Emmerich about the film and its late-summer controversy. Among other remarks, Emmerich told the publication he intended for Danny, the corn-fed, gay white guy, to lead the way in the film in order to attract a wider audience. But even if his choice to put the brick in Danny’s hands represents his own breakthrough somehow, we still have to wonder just how the revisionist the film really is. The reviews are in—well, the A.V. Club’s—and it seems the film has less of a “white savior” problem and more of a “jumbled mess” issue. There’s no denying the Ozification of the story; a sunlit street is Danny’s yellow-brick road, and he encounters those who would help and hurt him. But ultimately, the film suffers most from a lack of focus, the direct result of Emmerich’s efforts to diffuse the revolutionary sentiment.